The use of mobile robots to sense objects of interest plays a vital role in our society, from its value in military maneuvers to the exploration of natural resources to search and rescue operations. 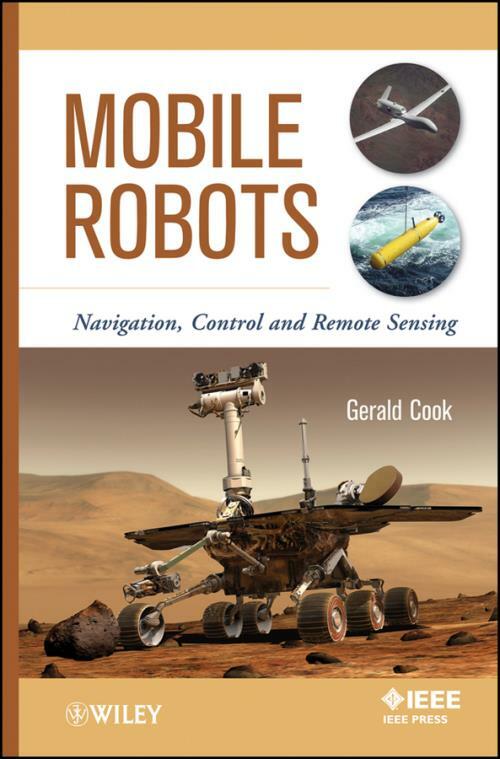 Written by an expert in the field, this book is the only resource to explain all the major areas of mobile robot applications control, navigation, and remote sensing which are essential to not only detecting desired objects but also providing accurate information on their precise locations. The material can be readily applied to any type of ground vehicle. In the controls area, both linear and nonlinear models of robot steering are presented. Through these applications, the reader is introduced to linearization and use of linear control design methods for control about a reference trajectory; use of Lyapunov stability theory for nonlinear control design; derivation of optimal control strategies via Pontryagin′s maximum principle; and derivation of a local coordinate system. In navigation, the global positioning system (GPS) is described in detail, as are inertial navigation systems (INS), which are treated in terms of their ability to provide vehicle position as well as altitude. In remote sensing methods, the author addresses the problem of ground registration of detected objects of interest, which provides essential information for any future actions (such as inspection or retrieval). The book covers control of a robotic manipulator as well as airborne sensing and detection of objects on the ground. It also explains the use of optimal processing via the Kalman Filter when there are multiple detections of the same object, and the decision process of associating detections with the proper objects when tracking multiple objects. The book′s clear presentation, numerous examples in each chapter, and references combine to make Mobile Robots a textbook for a one–semester electrical engineering graduate course on the same subject area. Since the topics covered in this volume cut across traditional curricular boundaries and bring together material from several engineering disciplines, this book also serves as a text for courses taught in mechanical or aerospace engineering, as well as a valuable resource for practicing engineers working in related areas. Cover Images: (top circle) U.S. Air Force Global Hawk, an unmanned reconnaissance aircraft, photograph reproduced with permission of Airforce Link; (bottom circle) autonomous underwater vehicle, photo taken by an employee of Bluefin Robotics Corporation during U.S. Navy exercise from the HSV Swift; (lower panel) artist′s rendition of Mars Exploration Rover, image by Maas Digital LLC for Cornell University and NASA/JPL.